Click here to find more about the need of BFI in Indonesia! Indonesia is a kind of nation to be absent in the evolution of sciences, especially social sciences. But Indonesia is still a place where human being interacts each other with abilities to analyze themselves.. 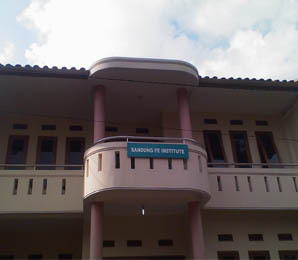 The classical sociological analysis is often used as tool to analyze social problems in Indonesia, a contrast to the understanding that see social system as local and unique through places to places - social sciences shall be spatio-temporal in the birth of analysis. By realizing this, we use the approach of complexity sciences to view the social system in Indonesia, the unique interacting people, the specific social system management, sustainable developments, the community developments, in natural resources site like mining site, factories, industries including home industries, rural people, stock market, system of general elections, etc. We give the whole sociological suggestions quantitatively and qualitatively as tight as possible, as wide as possible.